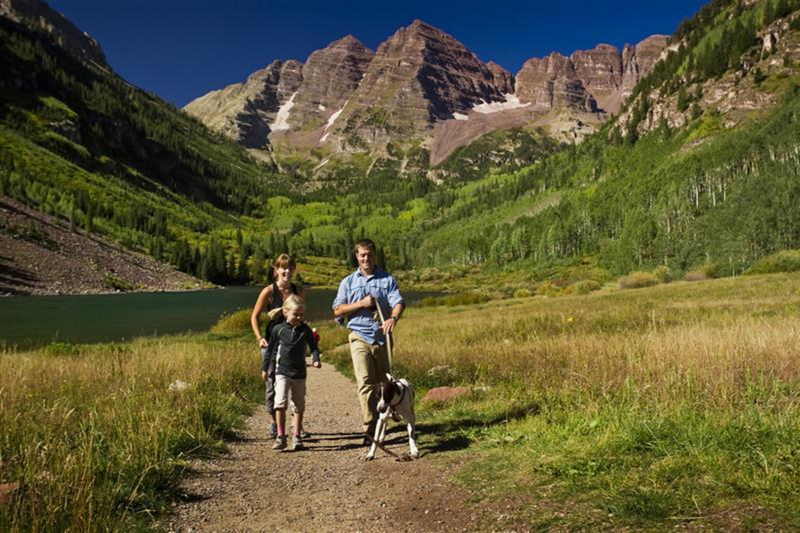 No trip to Aspen would be complete without visiting the Maroon Bells. Don't let the crowds deter you or the fact that you have to take a bus from Aspen Highlands Village mid-June through Labor Day (and on the weekends throughout September). 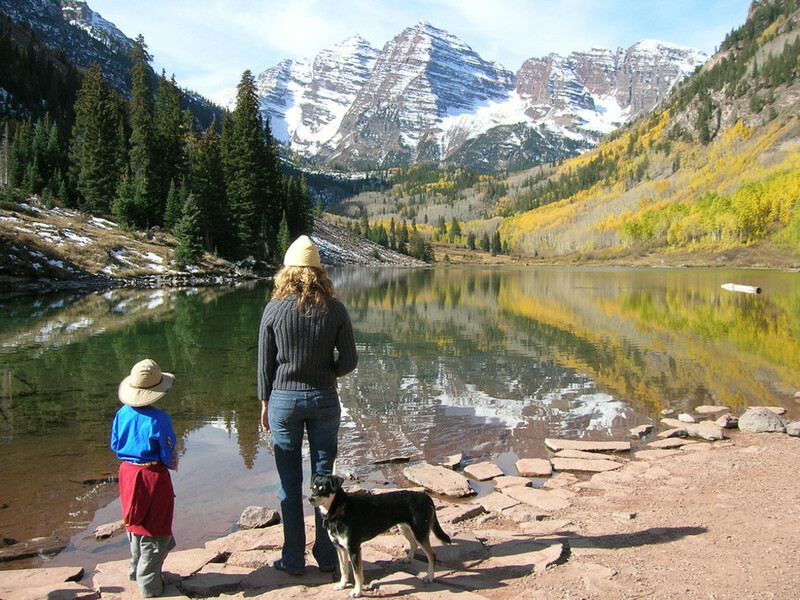 No trip to Aspen would be complete without visiting the Maroon Bells. Don't let the crowds deter or the fact that you have to take a bus from Aspen Highlands Village mid-June through Labor Day (and on the weekends throughout September) you, the views and photo opportunities are beyond worth the effort. 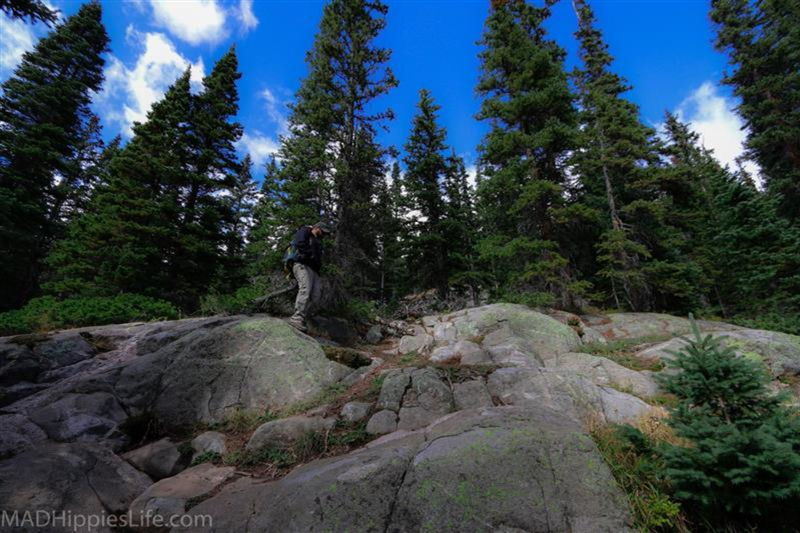 The easiest hike is more of a stroll than a hike, it’s flat and short and makes the area a great place to bring small children and the elderly. It’s also a great place to snap some incredible family photos. Maroon Lake is just a couple hundred yards from the parking areas and the bus drop off. You can stroll along the west side of the lake or go around it to the south. 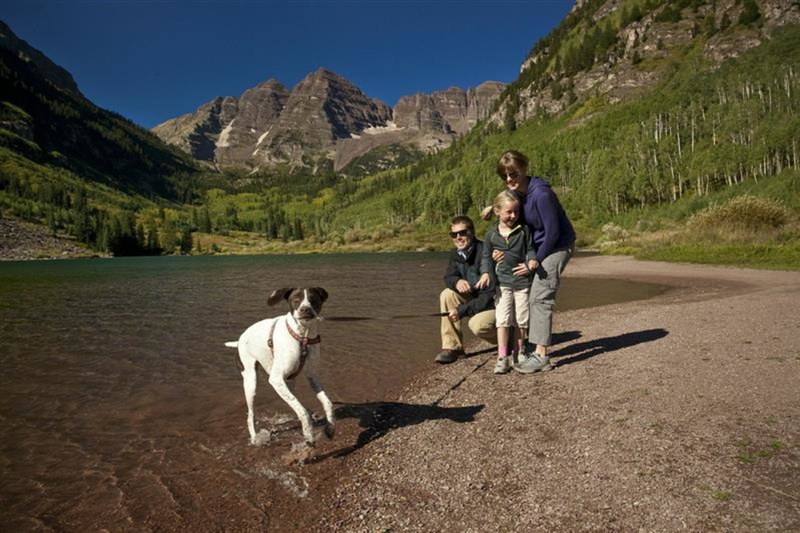 If you feel a little more energetic resolve to hike to Crater Lake, a high-alpine lake that sits at the base of the Maroon Bells. The rocky trail’s grade is moderate and the hike to Crater Lake requires about 500 vertical feet in gain over about 1.5 miles. To access Crater Lake hike to the west end of Maroon Lake. Here, you’ll find a trail that splits off to your left, take that. You’ll notice at the trailhead there’s a sign cautioning people about the "Deadly Bells" and the dangers of climbing the two peaks. Crater Lake provides not just a great view of the Maroon Bells, but Aspen’s famed 14,000-foot peak, Pyramid Peak, sits to the left. West Maroon Pass, the popular hiking route to Crested Butte, is accessed via the south and east sides of the Bells. Four Pass Loop sits west of the Bells, which is another renowned three- to four-day overnight route over Buckskin Pass. Plan ahead use the corresponding RootsRated.com trail reviews to learn more about these hikes. The iconic view of the Maroon Bells behind Maroon Lake is beyond gorgeous and will likely be one of the more unforgettable places you’ve ever visited. The view is especially breathtaking in September, when the hillsides that bookend the lake are ablaze with the yellow glow from changing aspen leaves. Seeing this iconic landmark in person is reason enough to brag to your friends, but if you’re lucky to visit the Maroon Bells after a late September dusting the combination of the snow-capped Bells and bright yellow aspen leaves is beyond stunning. 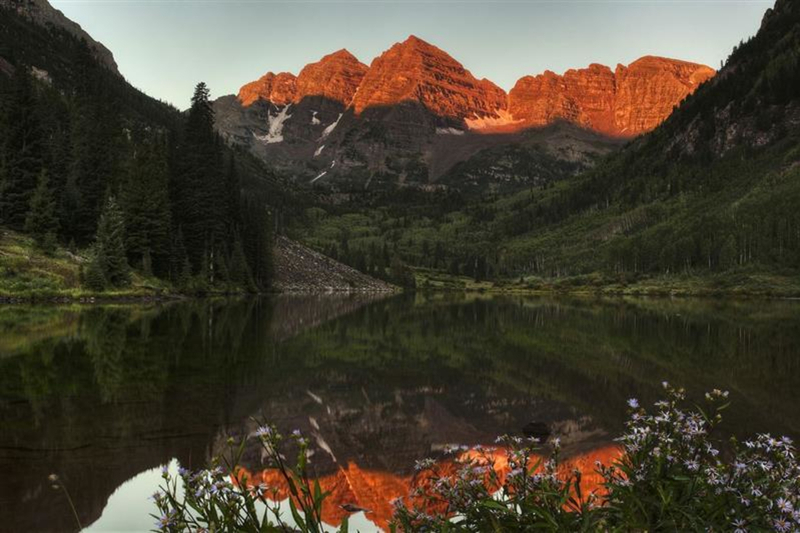 The Maroon Bells are among North America’s most photographed mountains, so those with a penchant for photography will go absolutely bonkers when they finally see the Bells majesty in person. 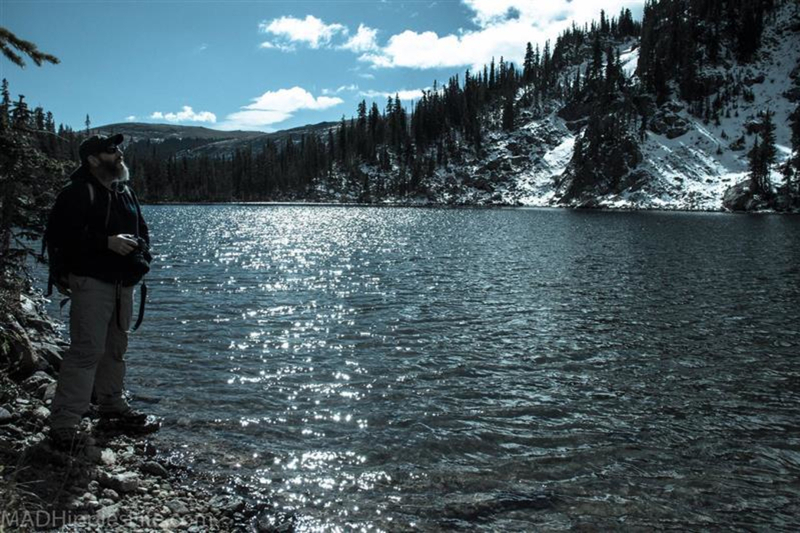 Families with youngsters and grandparents in tows will love strolling around beautiful Maroon Lake, while those looking for a short, moderate hike will appreciate the trail to Crater Lake. Maroon Creek Road is closed to public automobile traffic from 8 a.m. to 5 p.m. from mid-June through through September. Unless you’re towing a horse trailer, have small children in car seats or are transporting a disabled person, you’ll need to take the bus ($6) from Aspen Highlands Village. If you’re staying in downtown Aspen you can hop on the bust to Aspen Highlands from Rubey Park. The cost to drive a private vehicle up outside these hours or with the above exceptions is $10 per vehicle. If you’re driving your own vehicle to Aspen Highlands, take Highway 82 west out of Aspen. At the roundabout, take the second right (there will be signs to Aspen Highlands and Maroon Creek Road) and follow this to the Highlands parking lot on your left a couple miles up the road. If it is after the bus hours, follow this road all the way to the Bells parking lot, which is about 9.5 miles past the roundabout.